In this course, students will strengthen their ability to use, understand and interpret data. 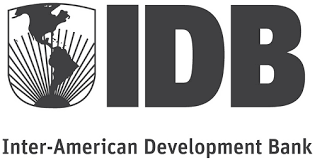 Using the “Numbers for Development" and “Caribbean Data Portal” platforms developed by the IDB - which presents data and socioeconomic indicators from the Latin American and Caribbean region - students will be able to understand how to improve the decision-making process in public management. At the end of the course, participants will have gained the tools to navigate data, perform and interpret visualizations, and understand the different types of data analysis according to the policy to be implemented.